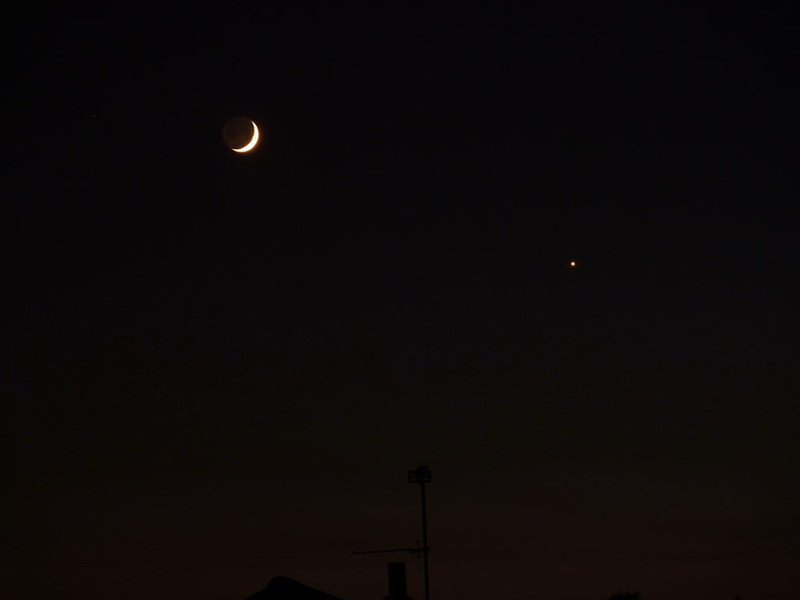 This picture of the Moon and Venus was taken on the morning of the 3rd December 2010 by Tony Razzell using a Fuji Finepix camera. 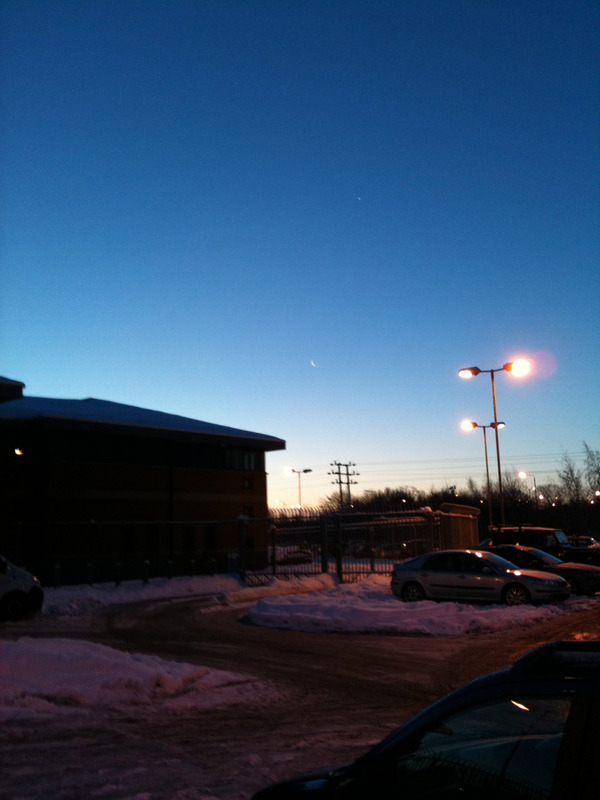 Chris Newsome took this picture of the Moon and Venus on the morning of the 3rd December 2010 from Ripley using his iPhone. 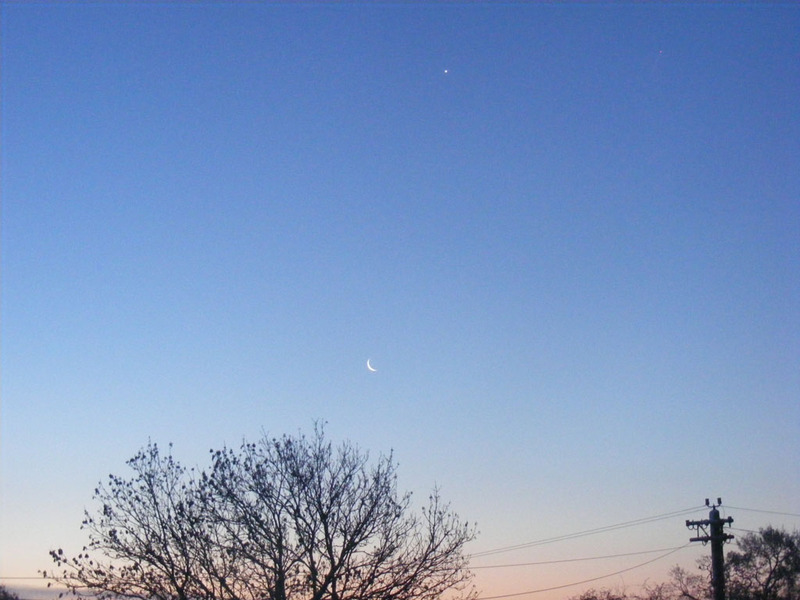 These two images of the conjunction of the Moon and Venus on the 16th May 2010 were taken by Keith Plamping using a Panasonic DMC-TZ6 camera on a mini-tripod from a bedroom window. 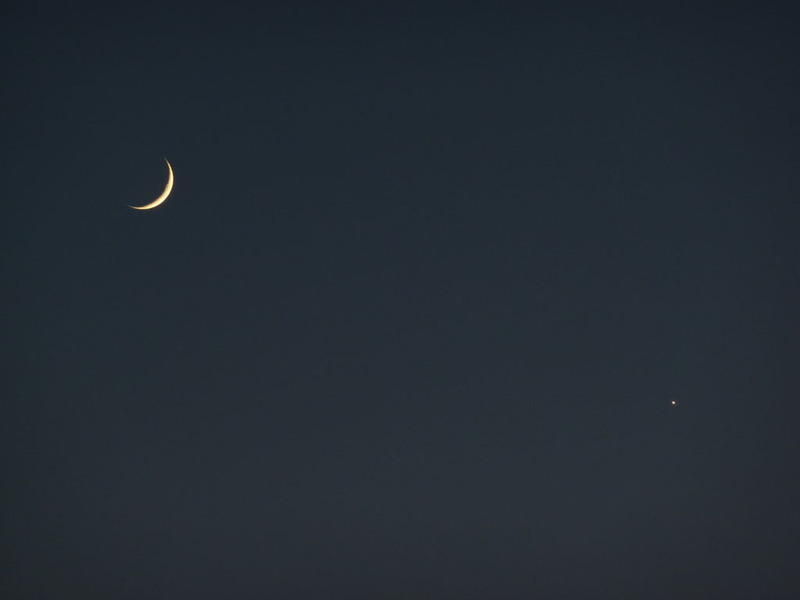 As he comments - "You don't need high-tech to have fun with astrophotography!" 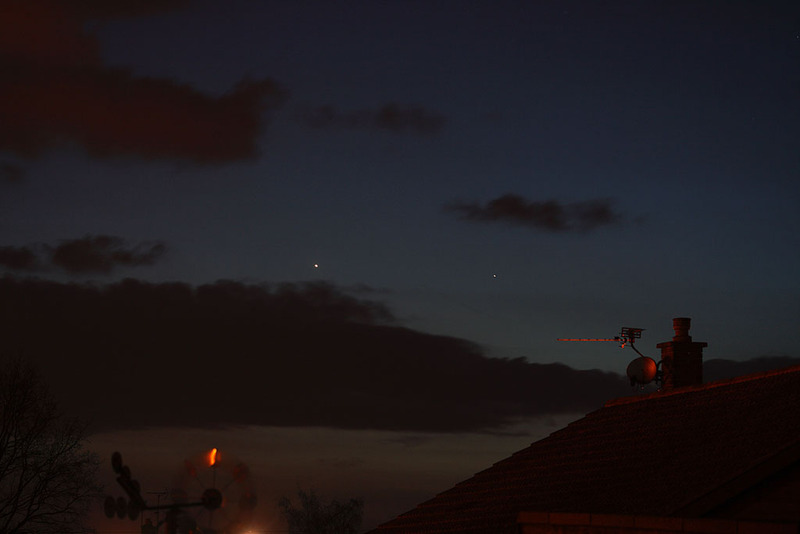 Chris Newsome captured this image of the conjunction of Venus and Mercury on the 4th April 2010 using a Canon 20D camera.